Mitsuha and Taki are two total strangers living completely different lives. But when Mitsuha makes a wish to leave her mountain town for the bustling city of Tokyo, they become connected in a bizarre way. She dreams she is a boy living in Tokyo while Taki dreams he is a girl from a rural town he’s never been to. What does their newfound connection mean? And how will it bring them together? 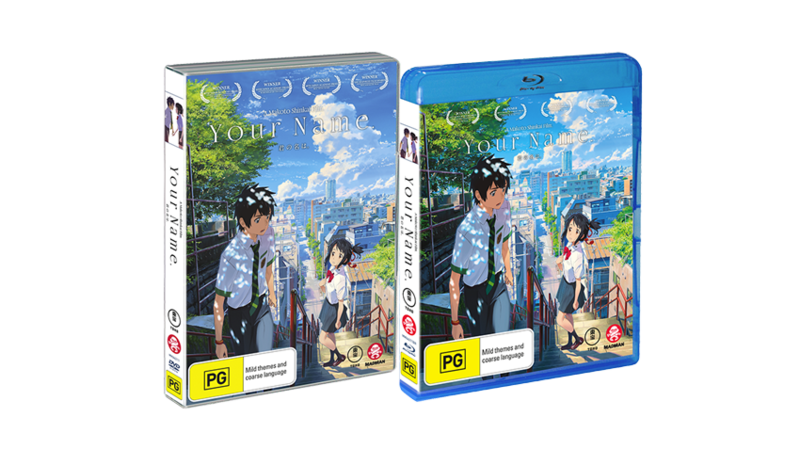 Includes limited edition slipcase packaging, a 136 page booklet, 6 stunning art cards, a Makoto Shinkai filmography featurette, Japanese promos, trailers and a TV special! 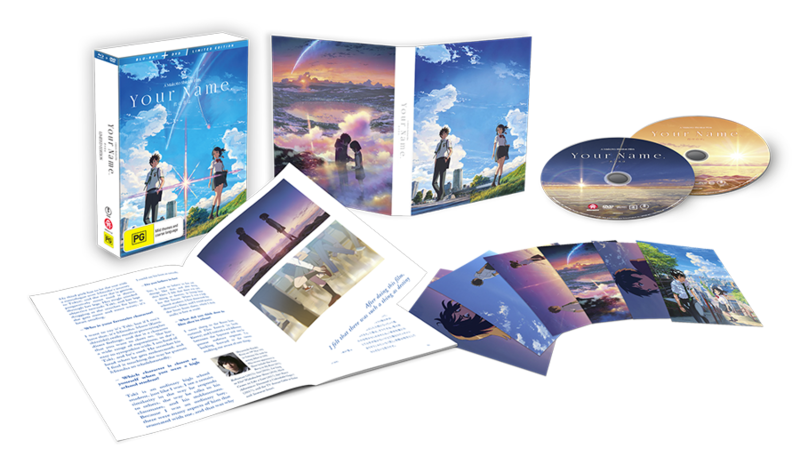 Includes 2 stunning art cards, a Makoto Shinkai filmography featurette, Japanese promos, trailers and a TV special!